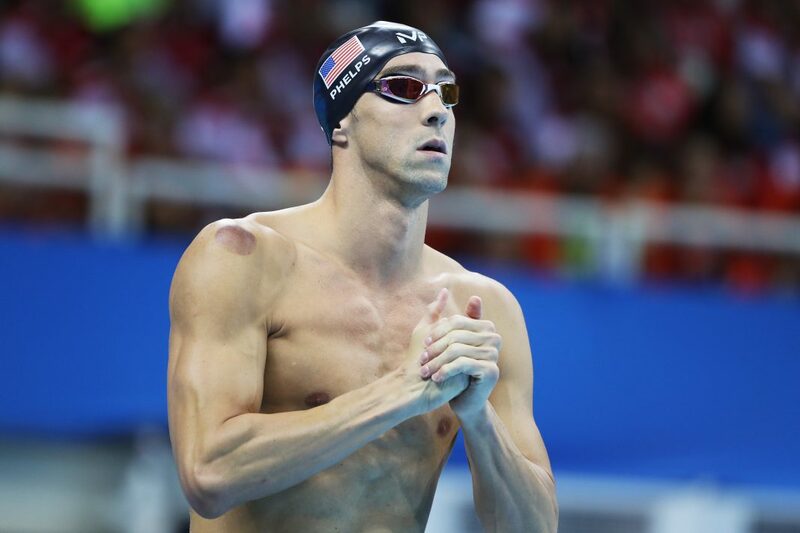 Home Uncategorized Where to Go for Cupping Therapy in L.A.
Where to Go for Cupping Therapy in L.A.
Olympic swimmer Michael Phelps took home his 19th gold medal on Sunday night, but the purple marks covering his back nearly stole the show. The circular bruises are the result of cupping, the ancient Chinese massage therapy technique that uses heated glass cups to suction the skin for minutes at a time. While its benefits have never been scientifically proven, devotees (including Gwyneth Paltrow, who displayed a constellation of cupping marks on her back during a 2004 film premiere) believe the alternative medicine increases blood flow and stimulates muscle recovery. The procedure is covered by most acupuncture insurance clauses, so you don’t need to be an Olympian to get treated. Here’s where to go to get bruised (you know, intentionally) all across Los Angeles. The waiting room may be decorated with gifts from Hollywood insiders (check out the giant Asylum movie poster from John Carpenter), but this place is far more traditional than trendy. If you’re looking for the full-on therapy treatment, go with the $75 Sogang Circulation Therapy, which combines cupping with needle-based acupuncture, magnet therapy, and massage. One of L.A.’s most high-end spas has jumped on the cupping bandwagon, too — but can you blame them? The Botox-averse can invest in a series of facial cupping rejuvenation treatments, which purport to increase circulation and reduce wrinkles (The downside: bruises on your face). A series of 12 treatments, received twice a week for six weeks, will cost you $400. Golden Folk is a self-described community space that offers cupping therapy in addition to Reiki sound baths and medicinal readings aimed at curing creative blocks. Herb-infused water and billowing white canopies greet patients who come to experience the $80 hour-long fire cupping sessions, which use fire rather than mechanical devices to create the distinctive suctions. If you’re a cupping newbie, and maybe just a little bit scared of the bruise-inducing therapy, this place is for you. A traditional Chinese acupuncture model sculpture, affectionately dubbed “Mr. Acupuncture,” greets visitors and gentle Zen music plays throughout appointments. This is advanced level cupping, people. 10 Body Type Acupuncture Clinic offers wet cupping, a practice where small quantities of blood are drawn in a modern day interpretation of leeching. The treatment is not recommended for the squeamish, but has devotees worldwide. For all the bloody details, here’s a video.